Electronic Arts Inc. today marked the anticipated return of former two-division UFC champion Conor McGregor at the upcoming UFC 229: KHABIB vs. MCGREGOR with the launch of EA SPORTS UFC 3 Notorious Edition. 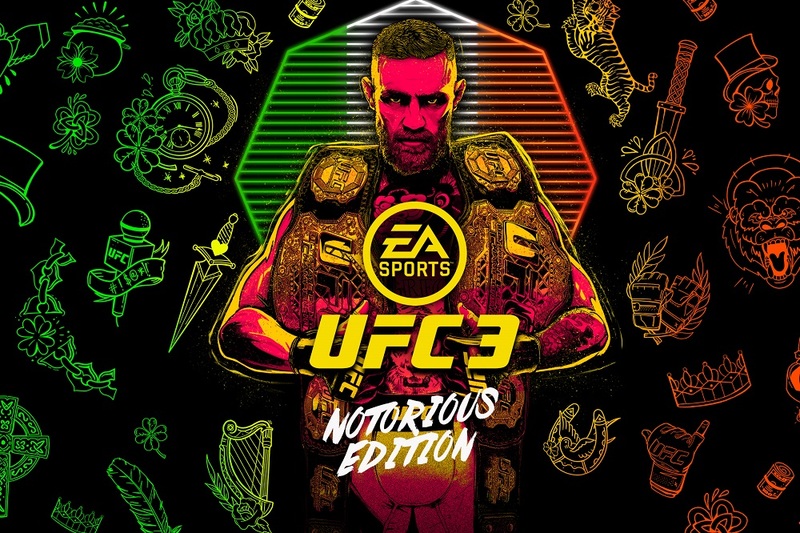 The Notorious Edition is available for a limited time and features exclusive cover art, as well as bonus in-game content including 500 UFC Ultimate Team Points, five Notorious Ultimate Team Packs and the choice of one “Champion” fighter – McGregor, former two-time UFC welterweight and middleweight champion Georges St. Pierre, former UFC flyweight champion Demetrious Johnson, former UFC women’s strawweight champion Joanna Jędrzejczyk or former UFC middleweight champion Anderson Silva – all for $29.99 USD. Players looking for a reason to get into the game Bleacher Report calls a “can’t miss” and UPROXX remarks is “truly outstanding” should act fast, as the Notorious Edition is only available through Monday, October 15. The game also introduced the new G.O.A.T. Career Mode where – for the first time – the choices made throughout your career impact your path to greatness. Outside of fights, players will make promotional choices to build hype, gain fans, earn more cash through big contracts and capture the world’s attention. EA SPORTS UFC 3 Notorious Edition is available now through Monday, October 15 for Xbox One and PlayStation®4 for $29.99. To learn more about EA SPORTS UFC 3 visit https://www.ea.com/games/ufc/ufc-3. EA Access members receive a 10 percent discount when they purchase a digital version of EA SPORTS UFC 3 on Xbox Live.